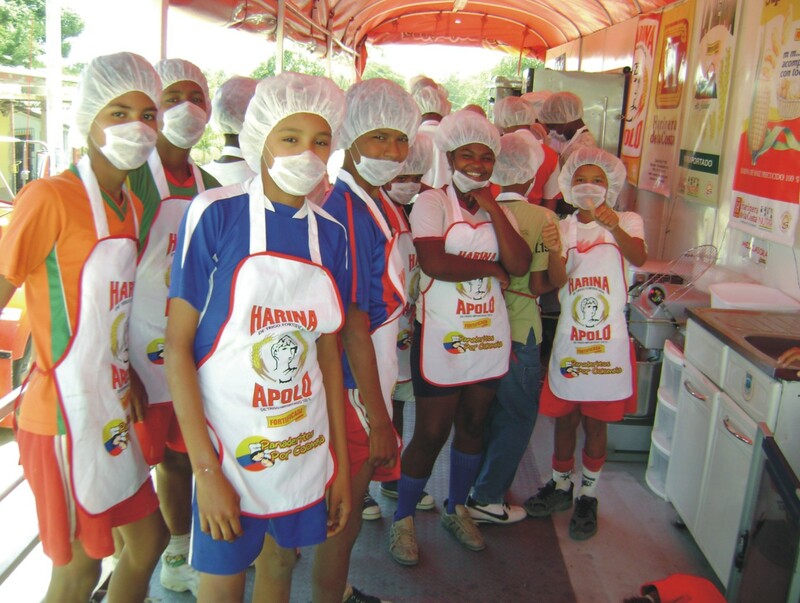 When a child joins Fundacion Futbol Con Corazon, she knows that she will not be playing “soccer as usual.” The “soccer for peace” methodology calls for mixed girl-boy teams in various age categories, a practice that is alien to the social context in which the children live. 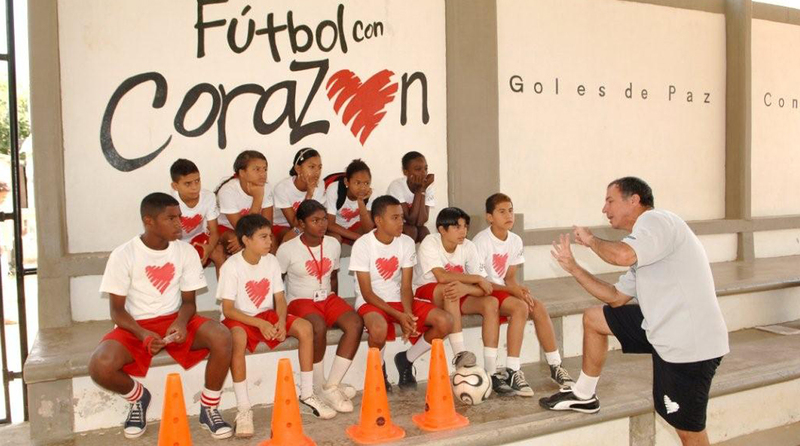 Twice a week, they engage in experience-based values workshops, which emphasize four core values to be demonstrated on the playing filed: honesty, solidarity, respect and tolerance.Soccer games last three periods: during period one, players agree to specific behaviour standards; the second period involves play; and the third period focuses on self-evaluation. Each child plays the same amount of time. There are no referees, rather advisors who act as facilitators. The players must solve conflicts that arise during the game. 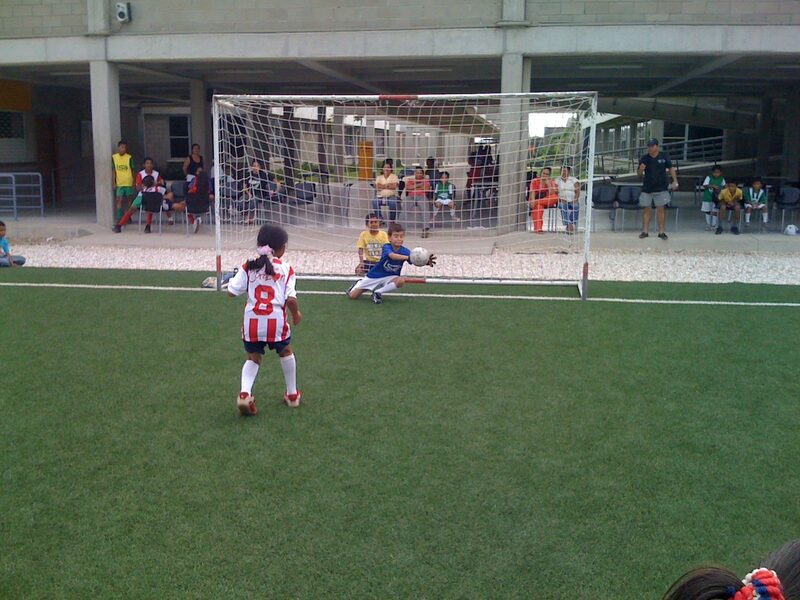 A girl must score the first goal of each team. Children receive points for following core values. The winning team accumulates the most number of points. If there is a draw, the team with the most points, as a result of values applied during the game, will be declared the winner.